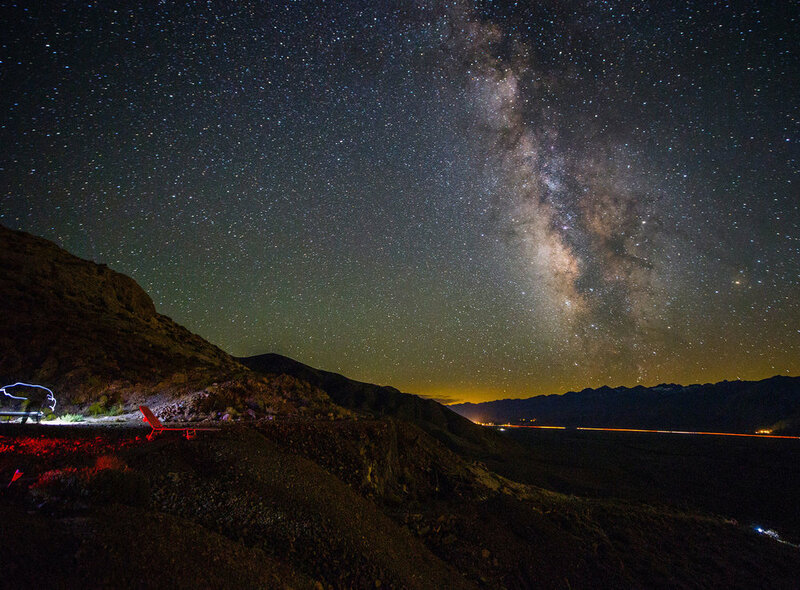 A unique stargazing experience is coming to the Eastern Sierra this spring. The Eastern Sierra Observatory (ESO) will be hosting guests at its location just east of Bishop for nights of viewing the cosmos through an amazing 14 inch Meade telescope, relaxing with binoculars in a stargazers lounge, sitting in a hot tub under the Milky Way, and camp/glamp accommodations in a spacey SHIFTPOD. The fun begins in May and will continue indefinitely. Huge 14” telescope, astrophotography, astrophysics experiments, chillin’ in the hot tub… the night is yours! For those who want to photograph the cosmos, one can bring their own DSLR camera when they visit, and they’ll be able to attach it to the telescope with guidance from the operator to capture images of star clusters, galaxies, and nebulae! Or, maybe you’d prefer a more chill night… just using the telescope for viewing, relaxing on a poolside-style lounge chair while stargazing through a pair of binoculars, or sitting in the hot tub underneath the Milky Way. There will be many ways to lose yourself in the nighttime sky during your stay at the ESO. We can even do some lightweight astrophysics experiments if you’d like! The observatory is being operated by Scott Lange and Nick Foster - aka Dark Sky Photography (DarkSkyPhotography.com) - and the duo have been shooting nighttime skies in and around the Eastside for several years. In 2015, they hiked the John Muir Trail with an emphasis on the nighttime sky and created a coffee table book titled, The Range of Light: Night & Day on the John Muir Trail. Lange, who holds a degree in astrophysics from UC Santa Cruz, and Foster, a mechanical engineer who builds rockets for a living, are aiming to make this latest endeavor a one of a kind stargazing experience. A initial Kickstarter project gave the ESO the boost it needed to get off the ground, and a list of remaining available dates for 2019 has been posted at EasternSierraObservatory.com. Visit the website to book a night or learn more, or, you can also call or text 760-387-3005 or email contact@easternsierraobservatory.com.